Driving off to work one morning, radio on, and one of Kanye’s best (my opinion) comes on: Gold Digger. For those unfamiliar with the song, it’s about (yes, you guessed it) a gold digger. Kanye is mentioning all the things she might do, and it’s hilarious. But what helps this song shine is the Ray Charles sample (with Jamie Foxx’s version in the intro). 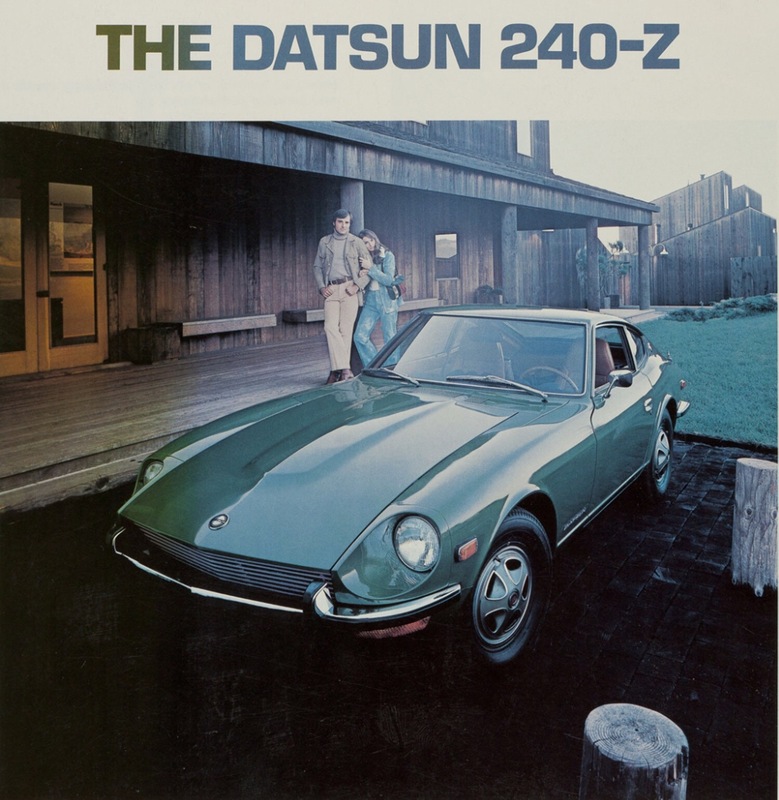 Whether you like Kanye and his antics or not…he’s made a reference to Datsun in the song! Listen close, as it’s contained in perhaps the best and final verse of the song at around 2:50. Love the imagery. 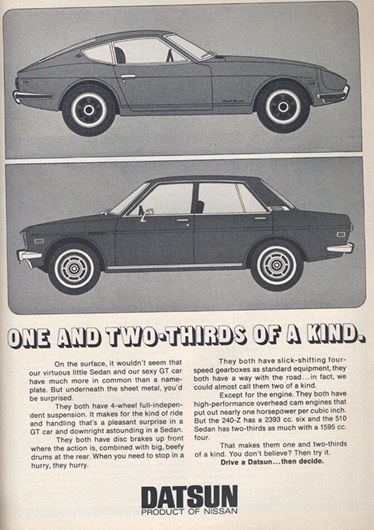 And though he uses Datsun as an example of a cheap car (which it was / is) – thanks to Kanye for keeping it relevant. And DANG! i can’t believe I didn’t hear it before. As you’ve guessed from the title, we’re replacing fuel injectors! 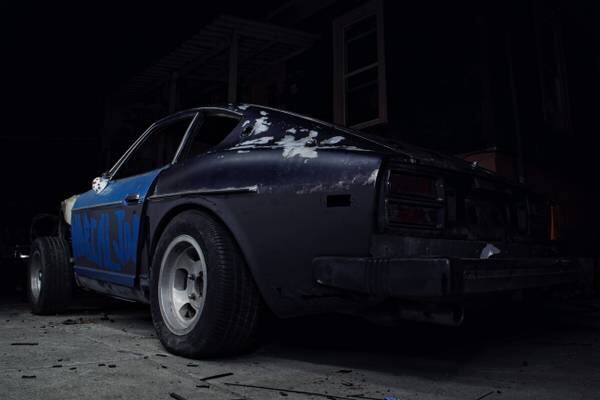 After purchasing a classic Z, or any old car for that matter, there’s always a list of things to inspect, test, and replace. After what’s now coming up on…3 years (oh my! 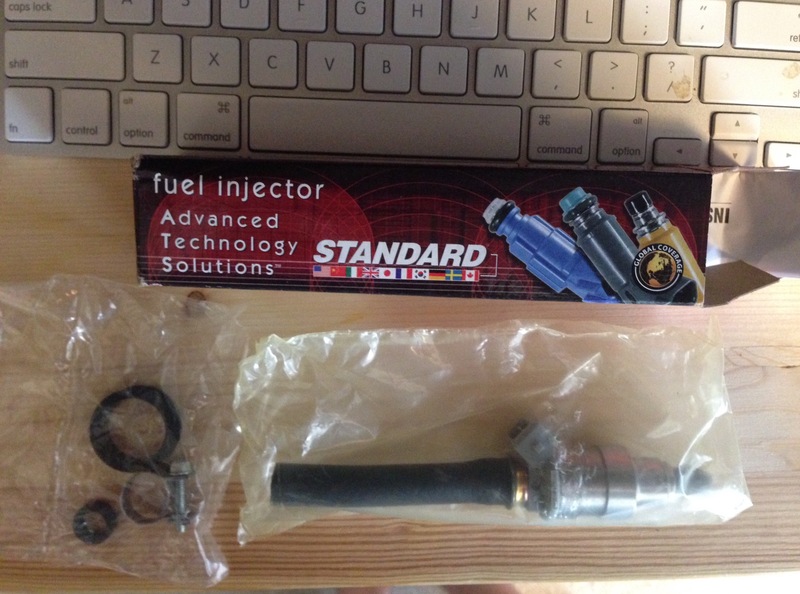 ), I’m finally diving into the engine – specifically, its ignition and fuel injection. The injectors in this Z have always been unknown to me..well frankly because I didn’t take the time to inspect or get to understand them. They clearly look like they were replaced by the previous owner (Wild Bill’s brother), they worked, it ran, and that’s all I needed to know. But whenever I looked at those electric signal connectors fastened by a wad of silicon glue, it always made me wonder what the heck was going on. Until now I’ve been in the ‘if it ain’t broke don’t fix it’ camp, but one day, I had the gumption to poke at it while the engine was running… Immediatly, the engine started choking, gasping for fuel. You know, it’s about time we give it love and clean these up! Tip: Before diving into any project, it’s good to understand what’s the current state, or steady state – basically, what the heck is going on. I listened to how things ran, did a quick inspection of bolts, and made a mental note of where everything was (of course I made a digital “note” with camera too!). Are bolts rusted? What other parts are in and around the area that may need replacing? It really helps to visualize what you’ll be doing BEFORE you go and do it. Prepare to use a long Philips screwdriver to take out the screws holding in the fuel injectors. Or I suppose a right angled driver could work too. A long Philips will help get passed all the fuel rail business. I didn’t have the right angled Philips but this extension I had lying around did just the trick. Start by removing the screws that hold down the portion of the fuel rail above the injectors you’d like to replace. Loosen up the hose clamps that connects the injector hose to the fuel rail. Getting the old injector hose off can be tricky. Just use a razor to cut a slit length wise where the hose meets the fuel rail. CAREFUL! Gas is going to leak out, so get that rag ready and handle it properly. You’ll notice that the fuel rail is separated into several sections. This is perfect because you won’t have to remove the whole thing to change the injectors out. I loosened one end of that sectional hose in the rail just to relieve stress and give the rail some flexibility. Now you can change 3 injectors at a time. I started with the set of three closest to the cabin. Of those three, it’s easiest to start disassembling from the cabin forward, and then when re-assembling, start with the one farthest from the cabin. It easier this way because the motion of the fuel rail as you’re working on each injector can pop off the assembly of the previous one…you’ll see. Here you’ll see the old injector on the left and new one installed on the right. When disassembling be sure to remember the sequence of parts and process. Here’s the old injector with flange, gasket, and seal (cut). The rubber seal maybe all worn out and stuck to the flange or injector. Just cut that sucker off. I also used a hammer to get the flange off of one of them. Light taps! Use the wirebrush to cleanup the parts. Our buddy Christian working the metal gasket straight. Ugh stripped head. That’s what you get with a 38 year old bolt – rust and dust! I use the Speed Out easy out (Amazon) for all stripped heads – they’re amazing. Replaced it with a stainless M5-.8 bolt, 30mm long from Home Depot or Amazon. You’ll notice the head a touch larger, bolt a bit longer, but it works just fine. Make sure to pick up new lock washers while yer at it. Reassemble everything and that’s it! 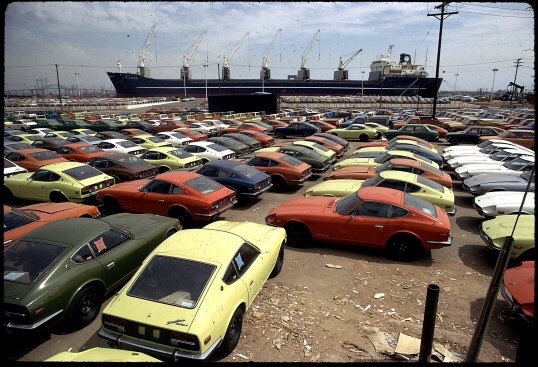 I think you’ll know if the injector isn’t working properly – the Datsun’s engine is pretty transparent, you’ll notice the misfire. Next up: Shocks? Bushings? Hey, how come in one picture I see some blue wire in the background?! 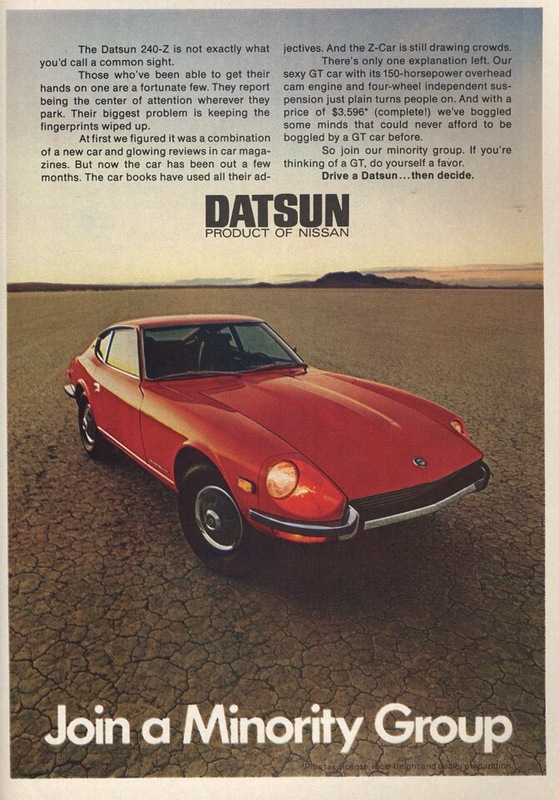 Thanks to a comment from DJBlackrabbit, I found out my domain..THIS domain, DailyDatsun.com fell off the face of the earth. 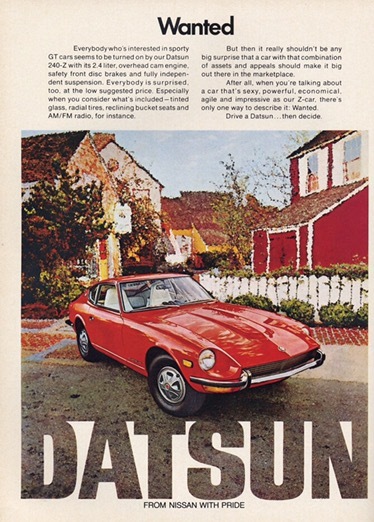 Though not set to auto-renew, it didn’t hit the internet trash bin (that would’ve been too easy) – no, DailyDatsun.com is popular enough that it got picked up by some Chinese / HK domain resale company. yep. I HAD TO BUY BACK MY OWN DOMAIN. wtf. Well. We did it. Let’s just say I didn’t lose any arms and legs…but it certainly put a new perspective on what’s going on here. We’ve really started something. Well, enough to get noticed, and put some real value on it. And now that we’re back up and running, it’s time to shift gears. We’ve burned out 1st long enough! 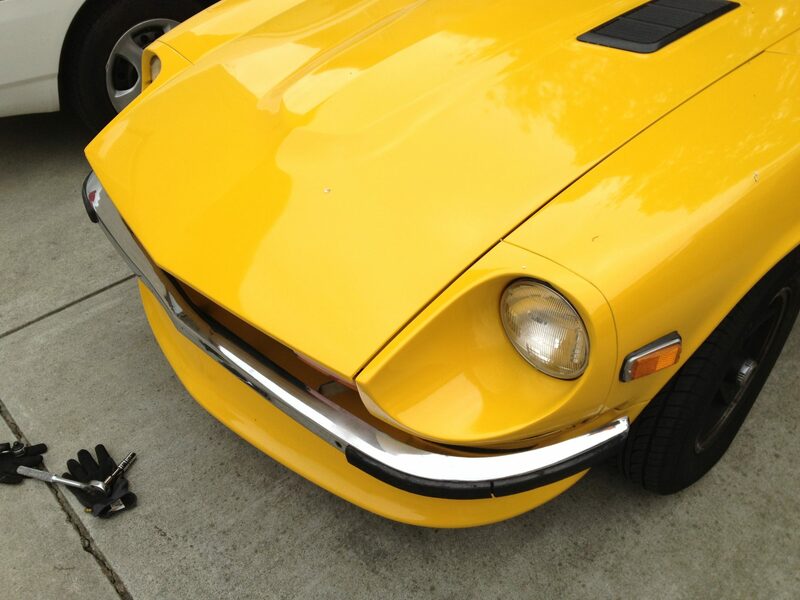 Welcome to a new Daily Datsun. Summer is coming, and it’s time to take the car cover off. Let’s see where the road takes us, and continue to enjoy the journey. 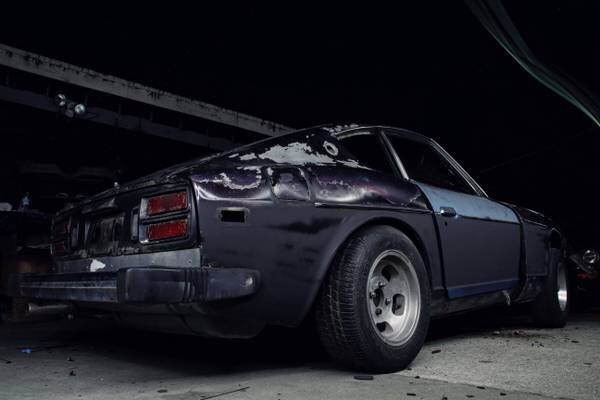 Short post today – my cousin sent this over from Petrolicious. Love that site. You wanna spend your afternoon down the blissful car-enthusiast abyss? 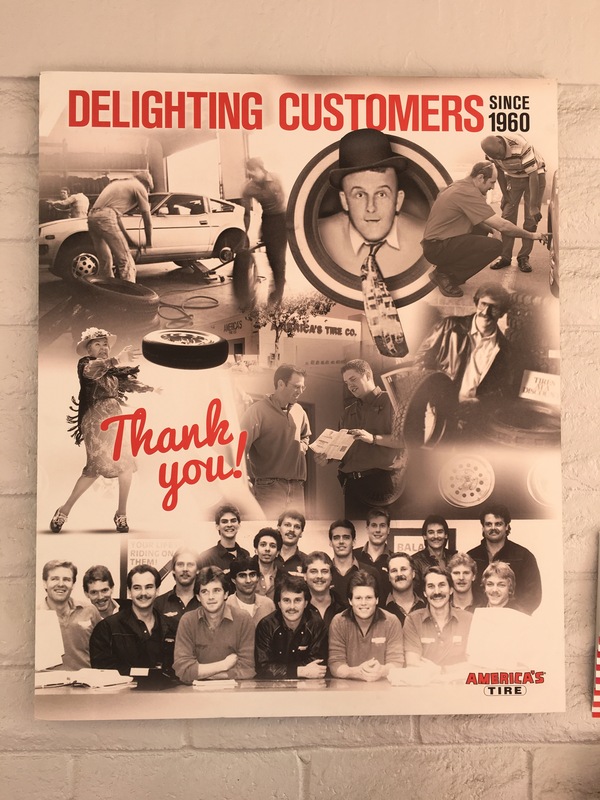 Stopped by America’s Tire for one of our cars (i’m a big fan of their tire certificate), and behold on the wall is a poster for thanking customers. Check out the ZX.